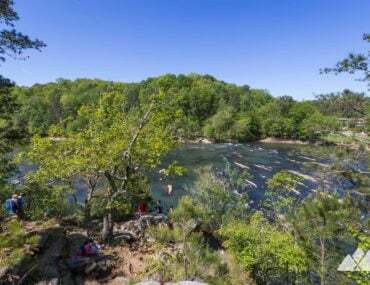 Hike the ‘Hooch! 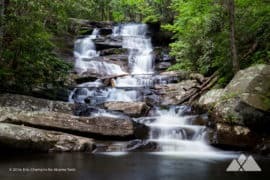 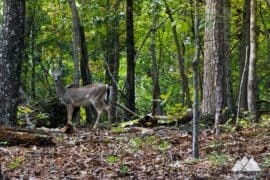 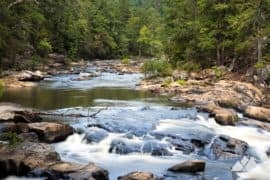 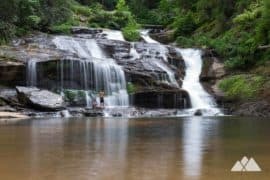 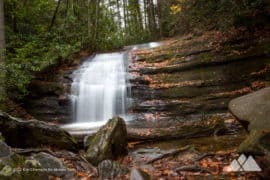 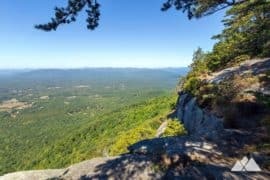 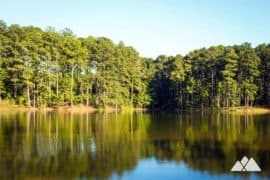 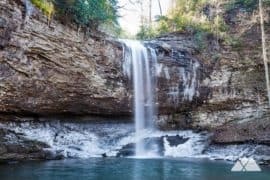 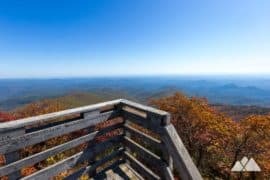 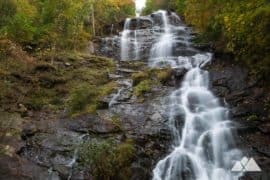 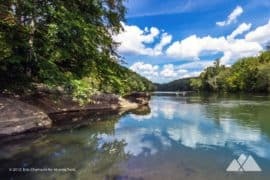 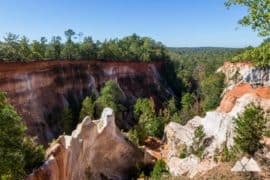 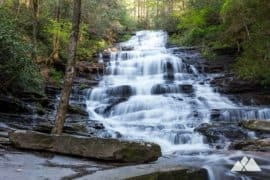 Hike these Chattahoochee River trails in the Atlanta, Georgia area through beautiful river landscapes, historic sites and waterfalls. 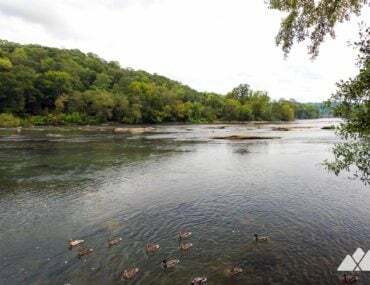 Find a great trail on this mighty river with our Chattahoochee River map. 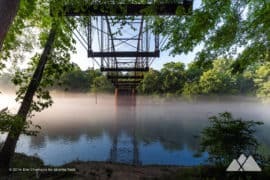 And don’t miss our top ten favorite Chattahoochee River trails for a great hike, run or bike on the banks of the Chattahoochee near Atlanta. 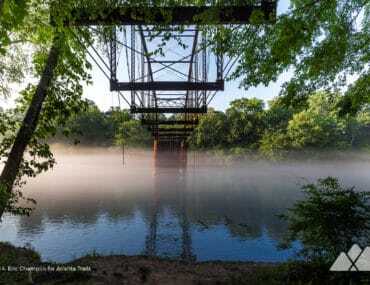 Hike the Jones Bridge Park Trail on the Chattahoochee River to the remains of an old, heisted bridge, through a scenic forest and to beautiful river views in metro Atlanta. 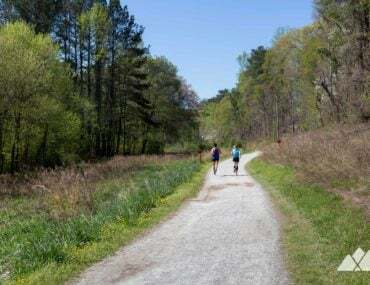 Hike, walk, run, or bike the level, scenic trails at Cochran Shoals park, catching stunning views of the Chattahoochee River and exploring scenic woodlands and marshes. 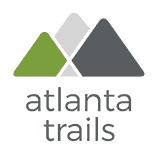 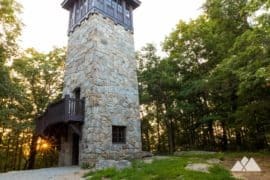 It’s one of Atlanta’s all-time most popular trails, and equally great for a Sunday stroll or running a few 5k training loops. 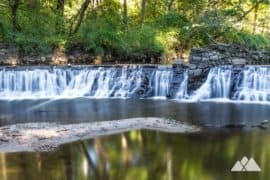 Hike the Sope Creek Trail to the ruins of a stacked-stone Civil War-era paper mill on the banks of a rocky creek, and then loop to a serene pond in a scenic Chattahoochee River park in Atlanta. 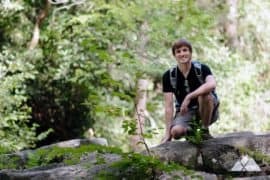 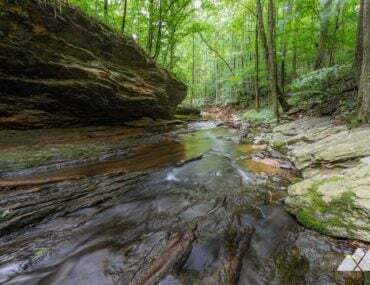 Hike the East Palisades Trail on the banks of the Chattahoochee River in Atlanta, climbing to beautiful views from towering bluffs and hiking through a small bamboo forest. 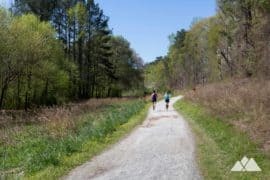 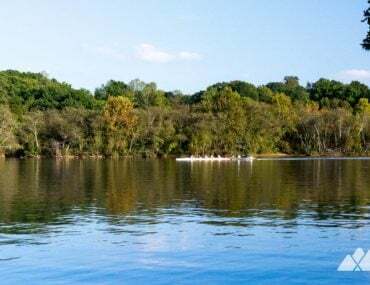 Hike, walk or run the Johnson Ferry Trail, exploring the Chattahoochee River’s banks in metro Atlanta. 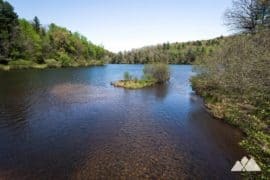 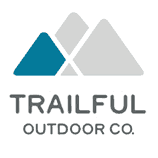 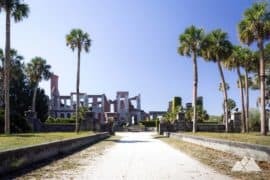 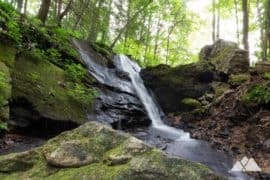 This great beginner-friendly trail catches beautiful river views, visits a small waterfall and large cave outcropping, and explores a marshy, wildflower-filled wetland. 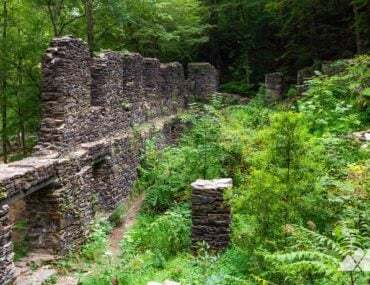 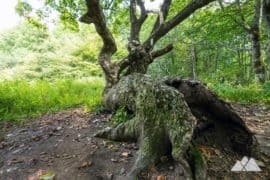 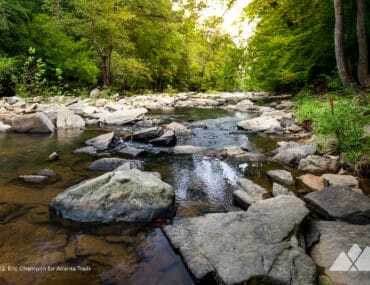 Hike a one-mile trail at Sope Creek Park near Marietta, exploring Civil-War-era paper mill ruins near the shore of a rocky, tumbling Chattahoochee River tributary creek. 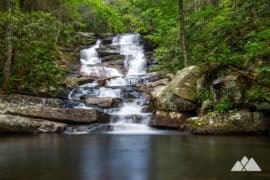 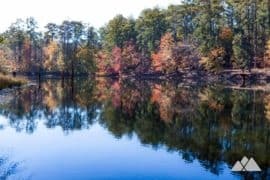 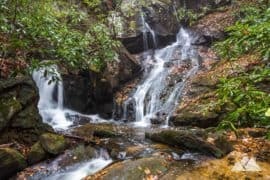 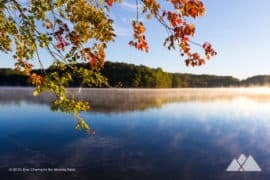 Hike the Gold Branch Trail on the banks of the Chattahoochee River near Roswell, exploring a wildlife-filled forest, visiting Bull Sluice Lake, and catching exceptionally beautiful river views. 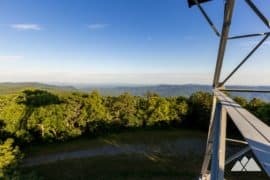 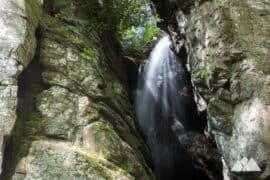 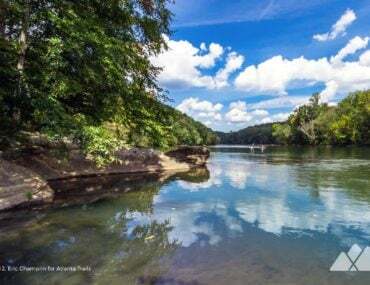 Hike the Island Ford Trail to scenic views on the Chattahoochee River, exploring a wildlife-filled forest and several caves on the river’s banks near Roswell. 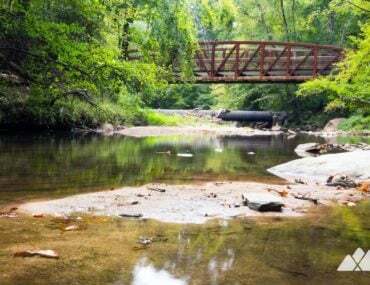 Hike, bike, walk or run the ultra-scenic paved trail at Paces Mill Park on the Chattahoochee River, following the West Palisades Trail to Rottenwood Creek, a sun-dappled tributary.